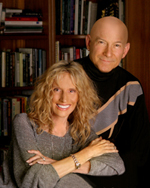 Paul and Sarah Edwards are award-winning authors of 17 books on sustainable lifestyles with over 2,000,000 books in print. For over 20 years, Paul and Sarah – originators of the Elm Street Economy concept – have been advocates for creating healthy, balanced and fulfilling ways of living and working. They co-founded Let’s Live Local, a non-profit organization whose purpose is to prepare their community for a sustainable future. 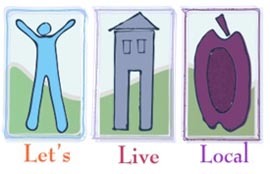 Let’s Live Local is recognized as a Transition Initiative. Paul offers consulting and training to communities and organizations seeking to revitalize their community for a resilient, sustainable future. Prior to their work together as authors, speakers and trainers, the Edwards enjoyed individual careers: Sarah in private practice as a psychotherapist and Paul as an attorney, CEO, and public affairs consultant. 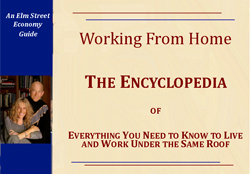 Their ground-breaking book Working From Home was the first commercially published book about how to work from home; its editions sold half a million copies. Always interested in major trends and how they will affect our lives, their 17th book, Middle Class Lifeboat: Careers and Lifestyles for Navigating a Changing Economy, released January 1, 2008, provides practical information for what individuals can do to address the growing anxiety about economic and ecological changes in the global economy. The Edwards live in the mountains of the Los Padres National Forest. Sarah offers counseling and online continuing education (CE) programs for professionals seeking to help clients deal with the practical and psychological challenges of today’s economic and environmental realities. She also has a private psychotherapy practice and serves as a member of the Red Cross Mental Health Emergency Response she helped to found, which is the first such team in Kern County California. Sarah has her own website, drsarahedwards.com. Together the Edwards also speak for organizations and associations about how to adapt one’s career or profession for a prosperous transition in today’s changing economic realities. They also speak and conduct workshops on overcoming institutional barriers to sustainability. Through Let’s Live Local, they have organized a wood pellet coop, an organic food coop, a grass-fed beef coop, and other localization projects. They were recognized for their contributions to the community by being selected as the Grand Marshalls for the 2016 Lilac Parade and festival. The Edwards’ titles include: Working From Home , The Best Home Businesses for People 50+, The Best Home Business for the 21st Century, Changing Directions Without Losing Your Way, Cool Careers for Dummies (1st and 2nd editions), The Entrepreneurial Parent, Finding Your Perfect Work, Getting Business to Come To You, Home-Based Business for Dummies, Home Businesses You Can Buy, Making Money with Your Computer at Home, Secrets of Self-Employment, Teaming Up: The Small Business Guide to Collaborating with Others, The Practical Dreamers Handbook, Why Aren’t You Your Own Boss?, and Making Money in Cyberspace, which received the best general computer book award from the Computer Press Association. Their books have been made into 4 audio titles and translated into nine languages. The Edwards’ print column appears in the Costco Connection. From 1988 until 1998 they were contributing editors and columnists for Home Office Computing magazine and wrote columns distributed through the Los Angeles Times Syndicate, and Entrepreneur Magazine, BYOB, and Homeofficemag.com. Paul and Sarah have 20 years of radio experience, having hosted and produced Entrepreneur Magazine’s Home Based Biz Show for 6 years and before that, the Working From Home Show on the Business News Network for 14 years. They were weekly commentators on CNBC’s “How To Succeed in Business” and hosted the weekly “Working From Home television show with Paul and Sarah Edwards” on Scripps-Howard’s Home and Garden cable network, which ran for 4 years. 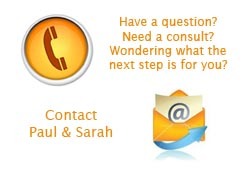 If you are interested in a consultation, training, or in need of a speaker? 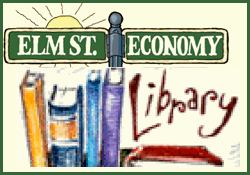 Email paul@elmstreeteconomy.com.